Lately, it's all about hair. Since now i'm trying to grow my hair longer (and healthier), i became more and more concern about what i wear. But it doesn't mean i make beef with hair styling products and tools. Like any other girls, i love when i get my hair did. Soft, voluminous, shiny hair gonna make you look as hot as May in J-town! 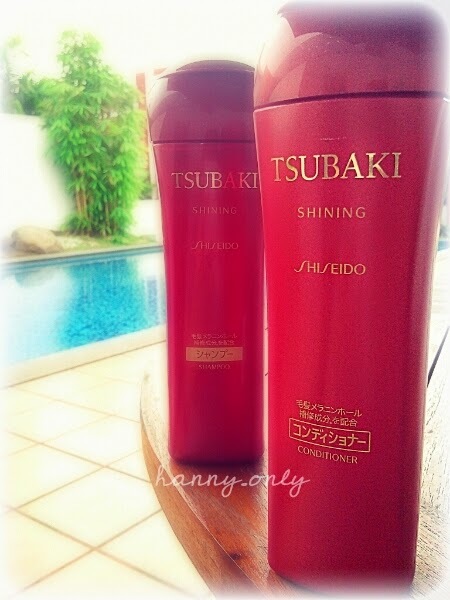 Hearing my thoughts, Nihon Mart, an online shop based in Jakarta that specifically sell Japan beauty products, sent me not one but two variants of Shiseido Indonesia - Tsubaki shampoo and conditioner. This product is raved not only in Japan but in all over the world for it's non-greasy light finish. And i got a chance to give it a shot for my non-non silicone weekends routine. 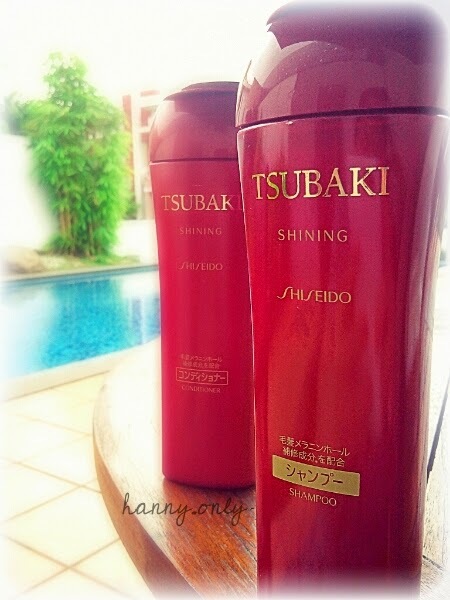 Shiseido Indonesia - Tsubaki shining is enriched with Tsubaki oil EX for a smooth, manageable, beautiful and glossy hair. 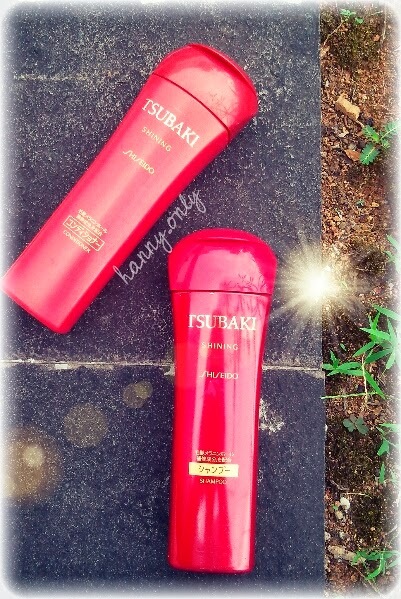 Its continuous moisturizing effect ensures satin-like shiny hair all day long. 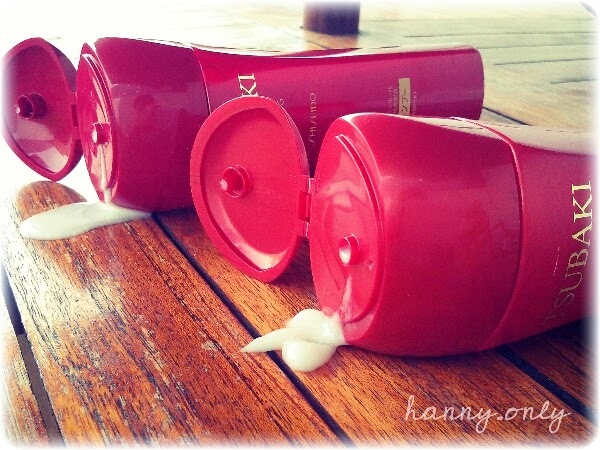 You will feel an improvement in your hair's texture and softness after just one use. Water, sodium laureth sulfate, sodium taurine cocoyl, methyltaurate, sodium cocoamphoacetate, cocamidopropyl, betaine, glycol distearate, dipropylene glycol, cocamidemea, sorbitol, sodium chloride, hydroexyethyl, urea, polyquaternium-7, camellia japonica seed oil, polyquaternium-6 1, dimethicone, citric acid, ceratonia siliqua hydroxypropyltrimonium chloride, bis-isobutyl PEG-14/amodimethicone copolymer, disodium edta, sodium methyl lauroyl taurate, potassium cocoyl glutamate, glycerin, butylene glycol, PCA ethyl cocoyl, arginate, phenoxethanol, sodium benzoate, fragrance, yellow 5, CI 15985. Ok, what really caught my attention on my very first usage is the lovely soft scent. Not strong, but yet unforgettable. Love it. The shampoo's texture is not too thick but quiet foamy, at first i was concerned that it would make my hair look oily and damp if i use too much. The conditioner, on the other hand, has the usual thick texture. However, after i finished and air dried my hair, i was shocked about the way my hair feels. For such thick texture, it gave an amazing light-ness and volume. My hair is light, easy to manage and gave even great result when i gave it a blow dry. It compliment my naturally wavy hair nicely and tamed the frizzy. for more info on price and everything. They also give special discounts and point rewards with interesting offers. Ok folks, that's it for now. Thank you so much for reading my blog. let me know your opinion if you already tried this product on the comment below, and if you have any questions, feel free to ask.